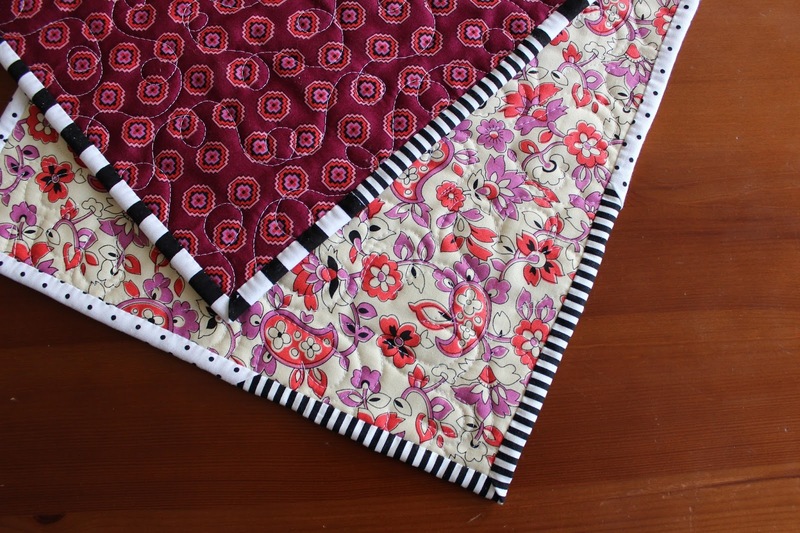 As you may recall, I finished piecing my scrappy Anna Maria Horner triangles quilt. I found a swath of white flannel for a cozy backing and got it basted. 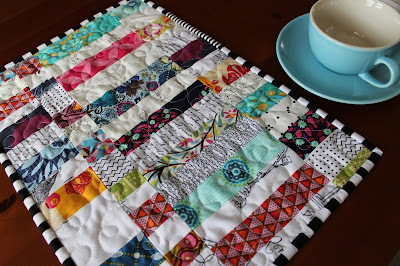 As I pondered quilting designs, it happened. The pile of scraps leftover from cutting all those triangles suddenly became irresistible. I had to stop everything and sew them into strip sets. 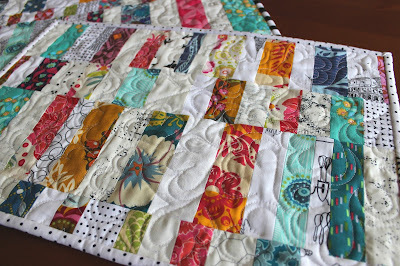 Do scraps ever overtake your other projects? The resulting rectangles made another set of placemats for a community service project for the year, which is a large stack of placemats for Meals on Wheels by December. These are perfect for leftover strips or blocks, paired with scrap binding and the odd fat quarter for backing. 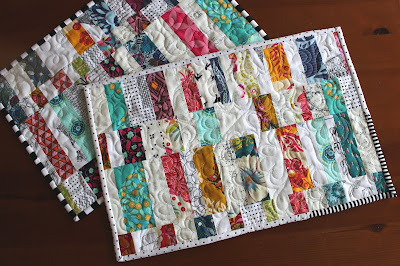 I finished these quickly with some free motion quilting. Since the placemats will most likely be given to individual recipients, they don't need to match or be exactly identical in size. I'm eyeballing mine to be about 14 x 18 inches. 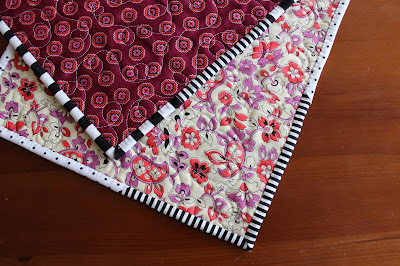 Now maybe I can get back to that quilt.